Millennials Challenge Traditional Leadership - Duffy Group, Inc.
Millennial workers are more motivated by and respond better to leaders who engage, challenge and inspire them. Too often employers who believe they have successfully recruited millennials find, shortly down the road, that they have “lost” their employees who have either quit or simply disengaged. Research shows that millennials, age 24-34, are retained on average less than three years resulting in lost productivity, rising absenteeism, and low morale. Millennials say they don’t care about money, legacy or hierarchy, and instead aspire to be collaborative, empowering and transformational leaders. 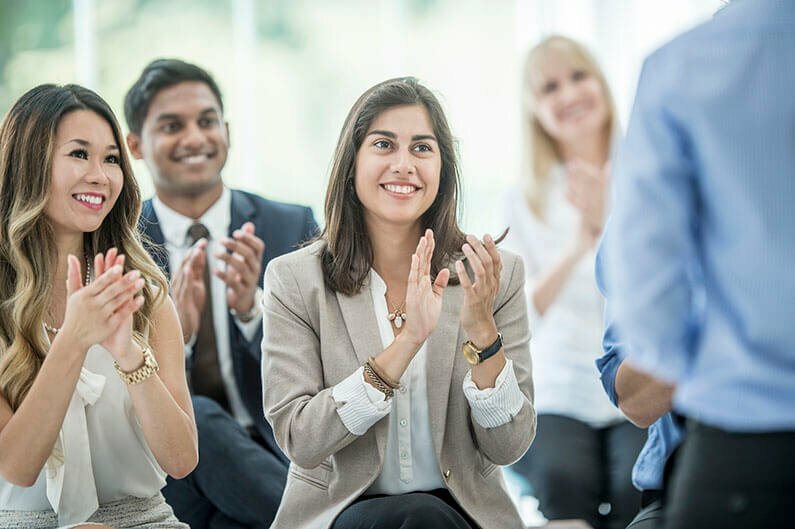 However, many millennials also say their employers lack the necessary corporate training programs to help them succeed with their leadership goals. As millennials challenge traditional leadership and continue to grow as the largest generation in the workforce, they will move into leadership roles in ways that are much different than generations before them – that is, without the prerequisites of certain job titles or number of years of experience. Companies will be forced to rethink their approach to leadership development in order to prepare the next generation for more influential positions. According to a new survey from Virtuali and Workplacetrends.com, nearly half of the 412 millennials surveyed (47 percent) say they are motivated to be leaders because they want to empower others, while only 10 percent care about legacy, and 5 percent say they’d take a leadership job for the money. Additionally, 71 percent of millennials already consider themselves to be leaders, even though less than half hold formal leadership positions. Millennials believe soft skills are the key to success, and will put them on the fast track to leadership positions, citing the most important skills as communication and relationship building. Conversely, millennials have less confidence in their industry knowledge and technical expertise. Working on those shortcomings is a challenge, and more than half of the respondents said they aren’t satisfied with the leadership development opportunities at their companies. They want online classes or e-learning opportunities, mentor programs to help prepare for leadership roles, and the opportunity to shadow more experienced leaders. When it comes to leadership style, more than half millennial respondents said they want to be transformational leaders who challenge and inspire others with purpose and excitement. Boomers have traditionally embodied this leadership style, according to Dan Schawbel, founder of Workplacetrends.com and managing partner of Millennial Branding, a millennial-focused research and management consultancy.